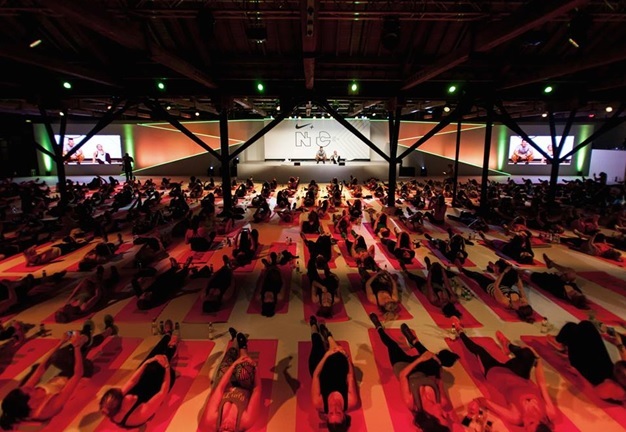 Last week Nike challenged us to take on Ellie Goulding’s one week training program before the launch of her new workout on the NTC app. Well, I never say no to a challenge! Making myself work a bit harder, I added a few extra sessions. This was my personal 5 day workout. On Monday the 2nd March, Ellie’s workout was launched. I was so enthusiastic and couldn’t wait to rush home after work to try out the workout. It was a great 15-minute get your heart pumping workout focusing on core, strength and cardio. 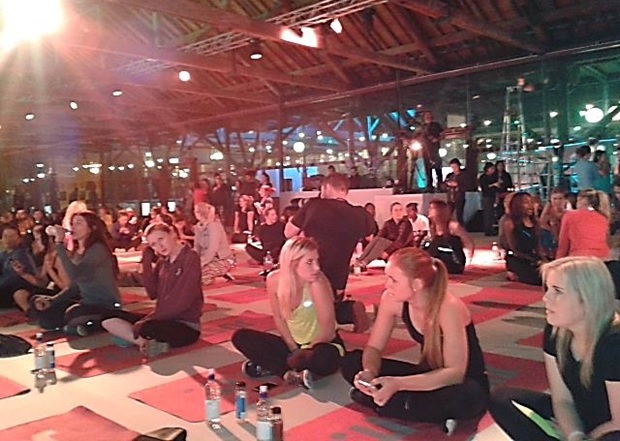 On Tuesday Nike hosted an exclusive launch event for Ellie Goulding’s ‘Tighten & Tone’ NTC workout at one of London’s iconic locations the Tobacco Docks. 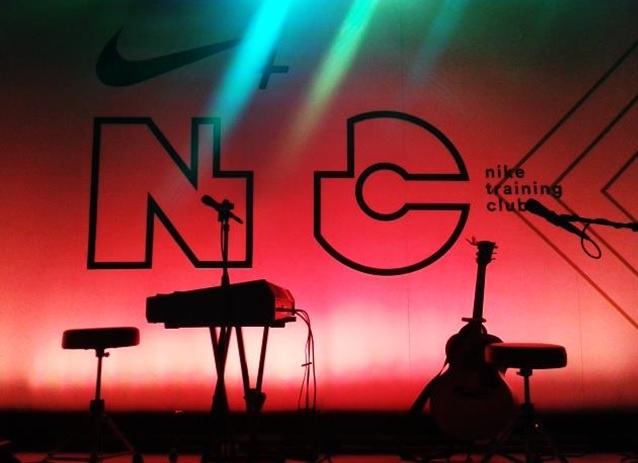 Like 400 other girls I was lucky enough to be invited to enjoy an evening of music and a N+TC workout with Ellie and Nike master trainers. 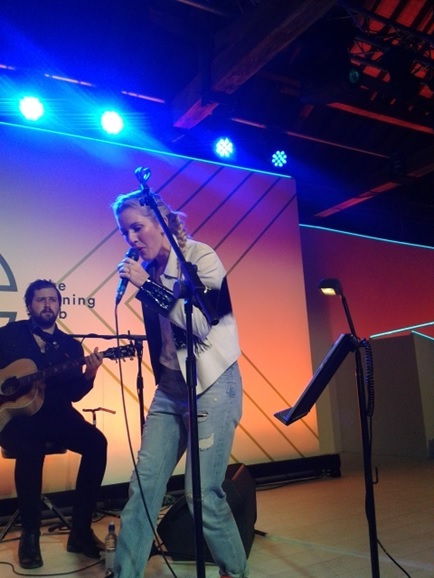 We all know and love the talented singer, songwriter and multi-instrumentalist Ellie Goulding. Did you know besides being a rockstar she is also fanatic about fitness best known at embarking upon any workout from bootcamp to boxing to Bikram yoga and has racked up an remarkable 5 half-marathons. Ellie’s Tighten and Tone workout can be found on the ‘Get Focused’ section of the app, a 15-minute workout to target the core, strength and legs. It combines a variety of drills from scissor kicks to burpees to side planks working you into a sweat and getting the heart pumping. Try it out for yourself NTC. I was so excited when I arrived at the Tobacco docks, a beautiful venue by St. Katherine’s dock. 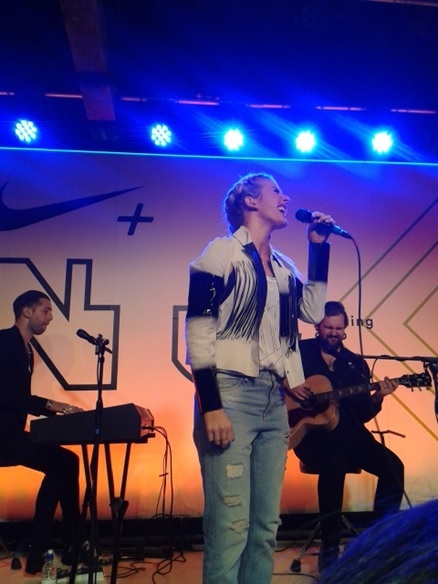 There was a massive queue to sign in where we collected wristbands and checked our bags in after which we were lead to a big room where it was announced that Ellie will be performing live before the NTC workout. Passing the bar I grabbed myself some water and a cold press juice. 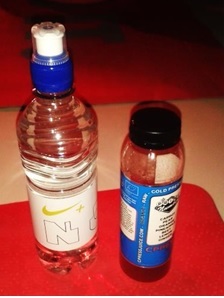 Always good to stay hydrated before and during a workout. The room was buzzing and the atmosphere was amazing. The lovely Jessica Skye (Nike trainer) was hitting the decks as best known for DJing and Fat Buddha Yoga. 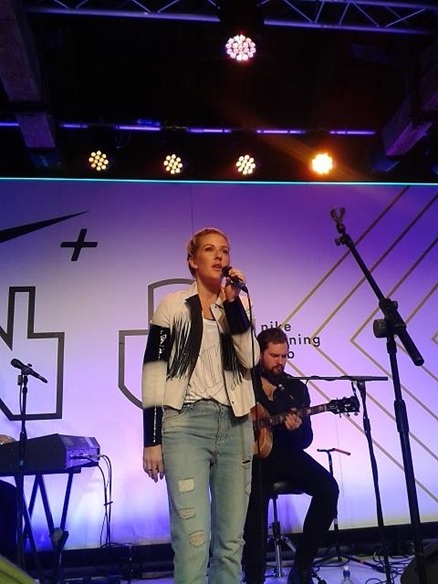 Well the time had come for the amazing Ellie to perform, it was an acoustic set where she sang some of her best known songs; I Need your love, Anything Can Happen, Goodness Gracious & her latest hit Love Me Like You Do. It was breath taking to hear her voice, such beautiful vocals. Epic performance of ‘Anything can happen’. 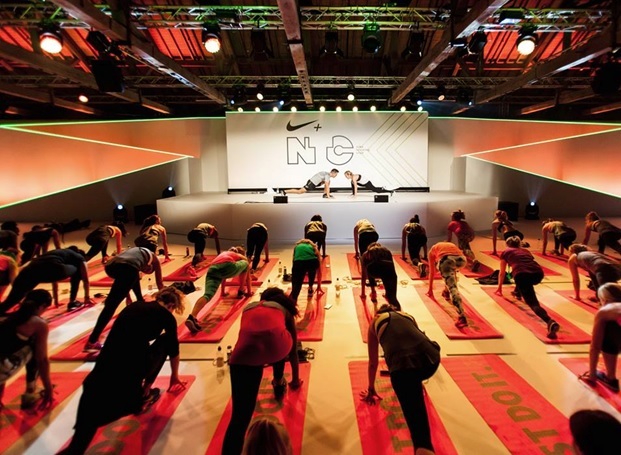 It was finally time for the sweat session to begin (I have to admit I was really looking forward to this part) the workout was lead by Ellie herself and Faisal (NTC trainer and Ellie’s personal trainer). We started off with some simple exercises to get us warmed up. Then the entire room launched the workout on the app, consisting of 30 secs and 1 min drills with 10 secs recovery working on core, arms and legs. An all round body workout and even better to stretch after such intensity. Ellie was super fit! We were treated to some delicious chicken, salmon and vegetarian healthy snack boxes and generous servings of champagne after the workout. The evening ended with a good catch up with old and new friends and of course photo opportunities. 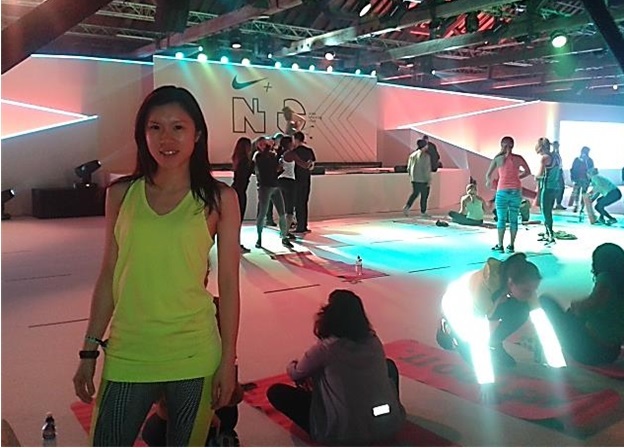 Not forgetting a big hand to all our Nike Trainers who guided us through the workout and encouraged us to stay strong (special thanks to Rory Knight and Leah Kim) you were awesome! 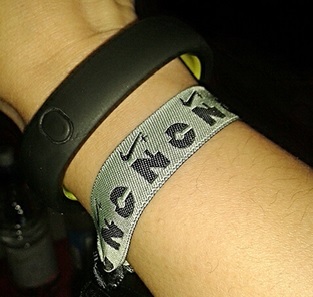 Thank you Nike for an amazing evening! 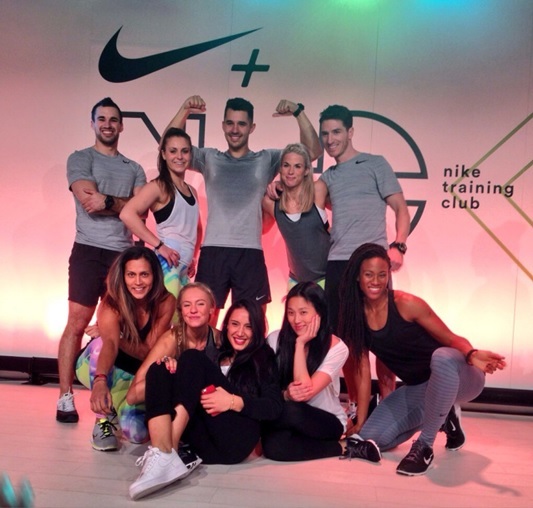 Inspiring to be working out with so many ladies and of course Ellie Goulding.